Maybe one or more of these sound familiar? Newbie. You’re an undergrad or a brand new grad student or something in between. There’s a big regional or national conference nearby and it costs relatively little for you to go. So you go! You spend hours poring over the program, looking for the talks that seem awesome. Except they all do. You write out a complicated schedule of talks you Must Not Miss and fill every minute of every day. You know no one — or maybe one other person, also a newbie. You dress casually because you don’t want to attract attention. Or you over-dress because you don”t want to attract attention, and then realize too late what ecologists wear to conferences. You keep busy keeping to your schedule, head down in the halls, bee-lining for the next talk on your list. The talks themselves leave you amazed and awed. Everyone is doing amazing work. Every Single Talk inspires you, as you expected them to. 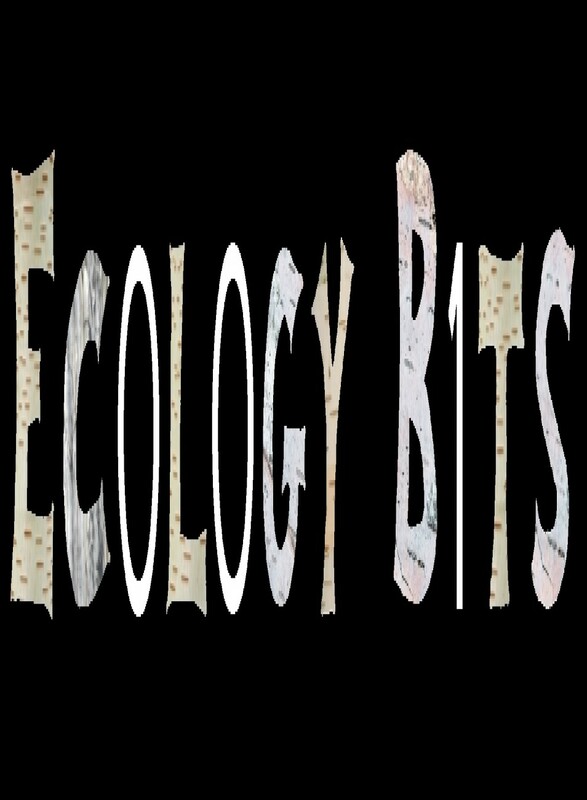 Ecology research is so cool and you can’t wait to dive in to do your own. Missed chance. You finally have research to present at a national or international meeting! But you can’t go unless you find funding. And you can’t find funding. OR… there is funding, but it requires that you present at the conference. No problem, except you weren’t able to submit an abstract because life interfered. You gave birth just before the abstract-submission window and could barely function, never mind write an abstract. Or your closest friend died and you could barely function, never mind write an abstract. Or your chronic health condition flared up and you could barely function, never mind write an abstract. OR… you submitted an abstract, but you can’t actually attend the conference because you’re pregnant and on bed rest. Or you need to take care of your aging father who has taken a turn for the worse. Or you can’t afford to take your infant and you can’t afford to leave your infant behind. In the end, you don’t really mind missing the conference. After all, there were more important things to take care of. Except you really do. First-time talk. You’re a few years into your PhD or finishing up your Masters (or maybe earlier in your degree if you did substantial undergraduate research). You’ve submitted an abstract, found funds to attend the conference, and are all ready to go. You know a bunch of people now, mostly people at your own institution, and it’s nice to run into them in the halls and to hang out at dinner. But you still spend most of your time attending talks and worrying about your own. Your own first conference talk feels weirdly anti-climactic. You’ve spent a lot of time prepping it and you’ve been worried about the follow-up questions. But in the end, the three questions are all polite and cover angles you’ve thought about. You field them without a problem. After the talk is over, no one approaches you to talk about it. It’s over and done. All the other talks you go to are good. But they’re not amazing, like you remember them being when you were a newbie. As you watch one, you’re horrified at the methods or statistics. “No, no, no,” you silently say to yourself. “You can’t do that!” You calculate that about 80% of the talks are good, but not amazing, and you include your own in that group. About 10% have serious flaws. And the other 10% you find inspiring. You wonder why ecology research has really stagnated in the past few years. And then you have a revelation: it’s not ecology research that’s changed; it’s you! You’re finally getting the hang of it, and are starting to recognize the merit and limitations of others’ research. Unintentional networking. You’ve been to a couple conferences now and don’t feel quite so intimidated as the first times. You know what to wear. You know how things go. You prep your talk, but are more interested in what you’ll see and learn than presenting your own material. You still spend a lot of time looking through the program to find the talks you’ll like the most, but you’re starting to get a bit picky. When you arrive, you realize that your network has expanded, and that you know people from other institutions. You meet someone face-to-face who you’ve only known online. For the first time, you go out to dinner with a group that include people you haven’t yet met. You start to expand your network. On the way to a talk you really want to see, you run into someone you haven’t seen for a couple years. You’re torn, but end up skipping the talk and chatting with your friend for a half-hour. It’s a great chat. Other people pass by and you end up talking with friends of your friend, and before you know it, you’ve missed all the talks you wanted to see that afternoon, but have run into several old friends and met a dozen new ones. You go out to dinner and outline a novel research paper with one of these new friends. By the end of the conference you’ve had another revelation. This time: conferences aren’t about talks, they’re about people. Intensive intentional networking. You’re a year or less away from defending your dissertation and you need a job! Your goal at this conference is to meet as many people as possible who might be interested in hiring you or writing a grant proposal with you. You prepped for this conference by making lists of people you want to meet and then cold-emailing them to see if you can chat with them at the conference. Every Single One who is attending says yes, because ecologists are super nice. Your schedule is packed with one-on-one meetings, and you only just start looking at the program on the flight to the conference. You’re more nervous about your meetings than your talk. Oh, man, your talk! You put down the program and write your talk on the plane. You spend the days meeting with more senior folks, trying to impress them, trying to figure out the place your research interests best overlap, and trying to figure out if they have any money. You spend your evenings catching up with friends and colleagues and trying to relax before the next day’s one-on-one meetings. When the conferences is over, you’re exhausted, but have a bunch of leads on possible jobs and grants. Plus you’ve met some great people and talked about some exciting research. Conference regular. You’ve got your PhD in hand and a job, even if it’s temporary. You’ve been to conferences for a while now, and have a good sense of what you like best about them. You balance seeing talks you think will be inspiring with networking with old and new friends and colleagues. You’ve developed a method for picking talks that you’ll like and it works pretty well. You’ve got a talk or two to present this time, and you even organized a session. You plan ahead to meet a few new folks, and you take time to bring uncomfortable-looking students into conversations. One of them even stops you to chat about your talk in the hallways. Somehow, the same topic keeps coming up when talking with different groups of people, and you decide that a paper needs to be written on it. The conference is exciting and invigorating, and you leave with ideas for future research directions. Do you have any to add? The “Conference gone terribly wrong”? “Selling your first book”? “Conference as an old hand”? Add your own in the comments.